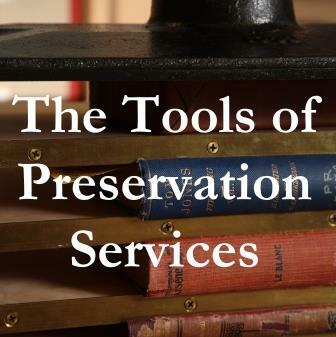 For many tasks within the world of Preservation Services, various materials need crisp, distinct folds, scoring, and creases. Smooth-edged bone folders, made of animal bone or Teflon, come in different shapes and sizes, but they all operate as an extension of the practitioner’s fingers. Bone folders are also good for smoothing and burnishing cloth and paper. 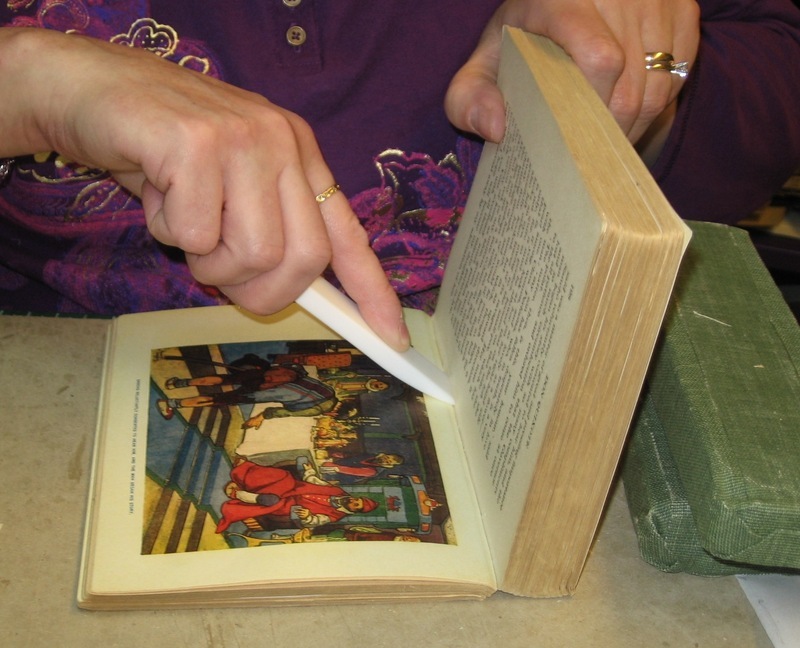 In this photo, a preservation photocopy of a plate is being “tipped in” (affixed to a bound volume), and a bone folder presses the tipped-in page tightly to the text block.